Grazie mille to all who helped us celebrate The House of Peroni with our two-week immersive event, showcasing the success of our emerging talent program across the worlds of fashion and drinks. 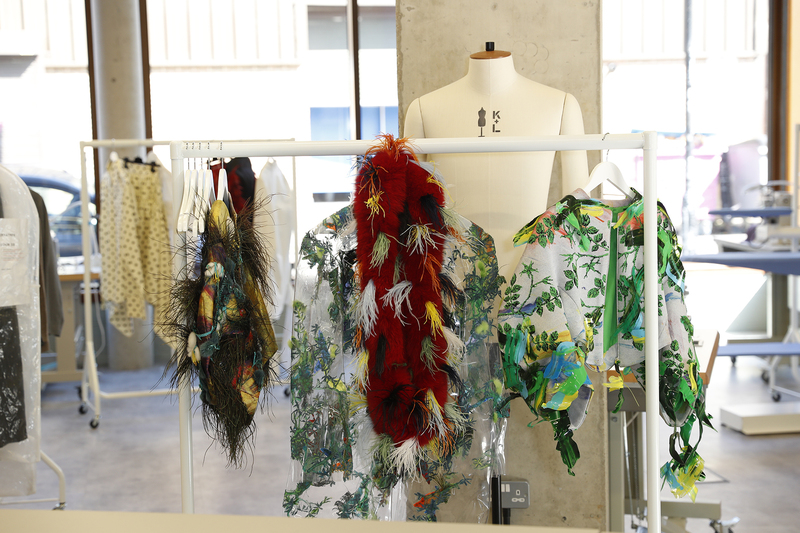 Over the last seven months, The House of Peroni Fashion Studio has been home to eight of the best emerging designers from across the UK and Ireland. The designers received industry leading mentorship and a cutting edge fashion studio to help craft their collections for a showcase during London Fashion Week 2019. 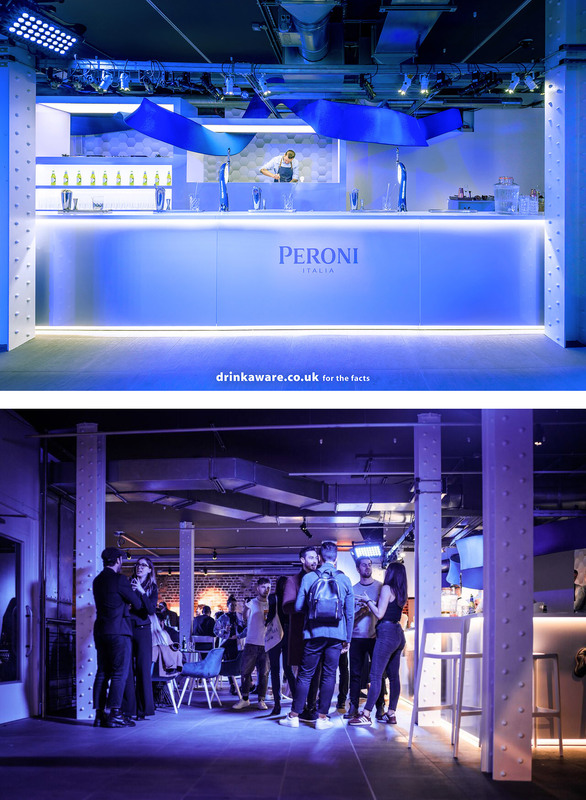 This fully immersive experience featured eight distinctive spaces, inspired by the work of the designers, given a platform by Peroni Nastro Azzurro. A bespoke platform bar at the heart of the experience provided the ultimate stage to hero the craft, art and innovative mixology skills of our bartending talent. Here Sam Taylor, winner of our London Cocktail Week emerging bartending talent program was joined by our master of mixology, Simone Caporale to serve Peroni Nastro Azzurro-infused aperitivo cocktails inspired by the eight designers. All of this was complemented by the delicious Italian cuisine served by our food partners Pasta E Basta. We launched the new designs of the Peroni Nastro Azzurro bottle and pint glass, as well as introducing our new Peroni Libera 0.0% offering. These were on display around the main Peroni bar, along with displays of the designers’ garments from the London Fashion Week showcase. A special thanks goes to our partners Calligaris, Superga and Pasta e Basta. After seven months of working towards building their collections at The House of Peroni Fashion Studio with mentorship from industry experts from the likes of Jonathan Saunders and Pandora Sykes, our designers finally showcased their work in front of industry buyers and designers during London Fashion Week in February 2019. Each designer was given a space at 180 Strand to showcase their collections during London Fashion Week.